After our wonderful Dead Sea getaway, we headed south to Masada, a historic fortress in the Judean Desert. 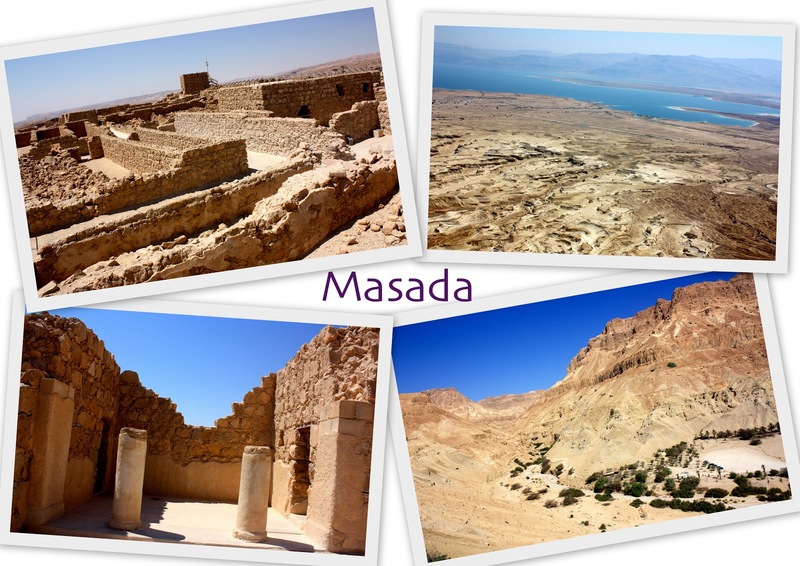 Masada is important because it was the last Jewish holdout that lost out to Rome and the Jewish people were exiled from their holy land. Rather than be killed by the Romans, the Jews decided to commit mass suicide here, however, there is lack of evidence supporting this. King Herod constructed this fortress which consisted of many luxurious areas such as baths and spas. The fortress is set atop a massive rock plateau surrounded by steep cliffs. Although many tourists choose to hike all the way up, the easiest way to get to the top is by the cable car. 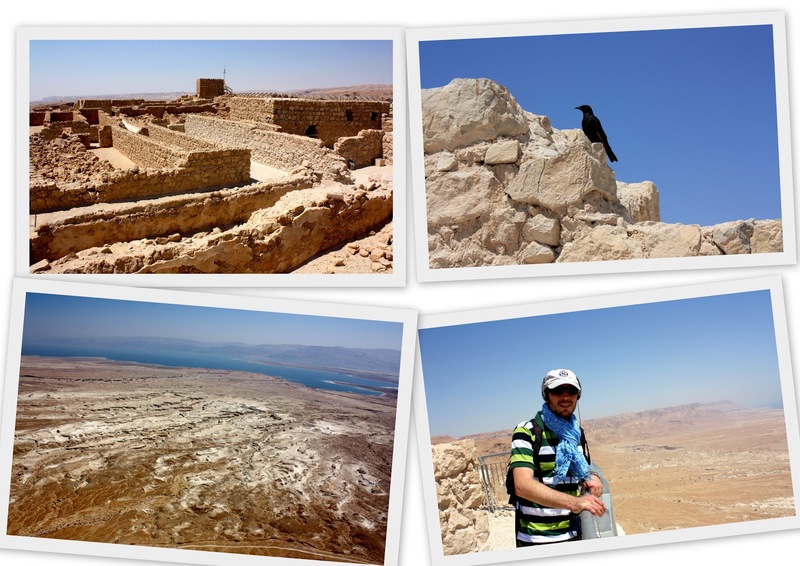 As Masada is not far from Ein Gedi, we just drove there in the morning and took the cable car up. There are guided tours available and the ticket also includes a museum visit at the end. There is a large cafetaria which offers local and fast food and a huge selection of ice-creams, perfect for the hot, hot weather! When I reflect back on my trip overall, Masada was actually my least favorite bit. Although the views from the top were pretty nice, I was not that impressed with the actual fortress itself. Maybe it was just that by this point, I couldn't take the heat and just wanted to be indoors! Photos were not allowed inside the museum, but it was well worth the visit. But the best part for me was when I could finally eat my ice-cream! 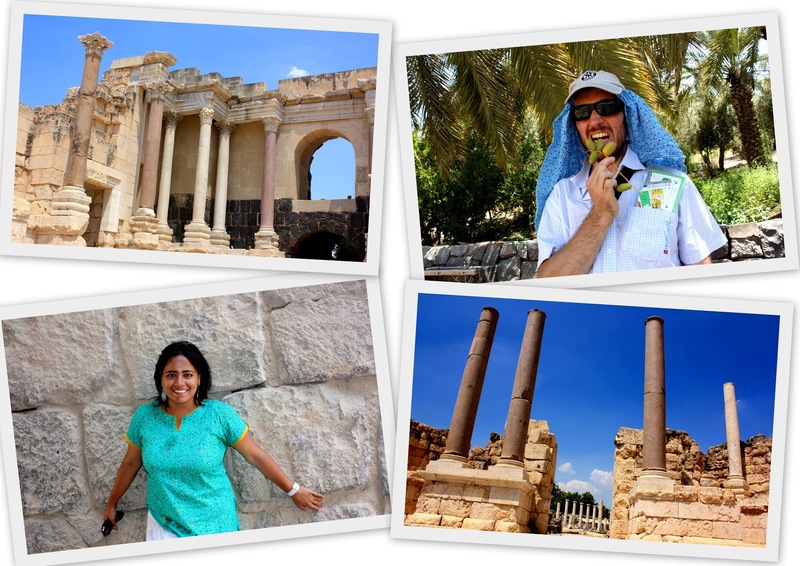 As we left the Dead Sea region, we headed north towards Nazareth, an important place in Christianity. 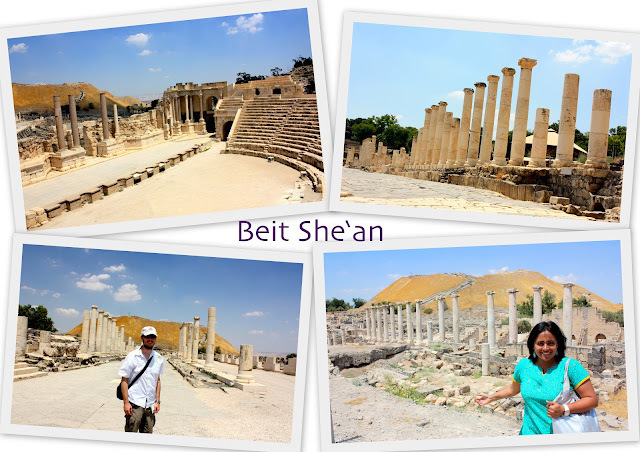 On the way, we stopped at Beit She'an, a town in the Galilee region. Many Biblical events took place in this town and there are several archaelogical ruins, including an amphi-theatre in the vast area. The place was well maintained and we had a nice walk in the national park, admiring the ruins. Next up, I'll share my experience in Nazareth with you all! For those who read Asterix & Obelix, Masada was the inspiration for the French village resisting the Roman invasion. 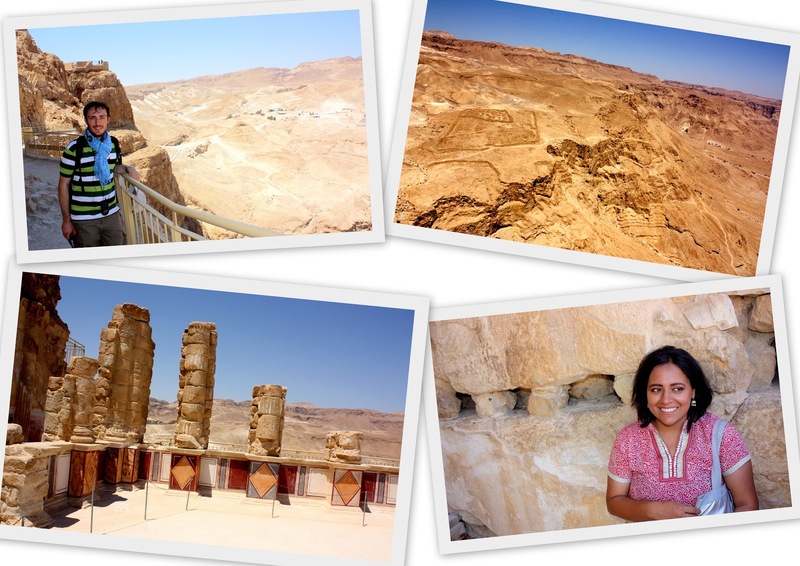 Have a feeling that one day I too will visit these places as Nazreth seems to be an important & significant place worth visiting. amlu looks very slim and nice. 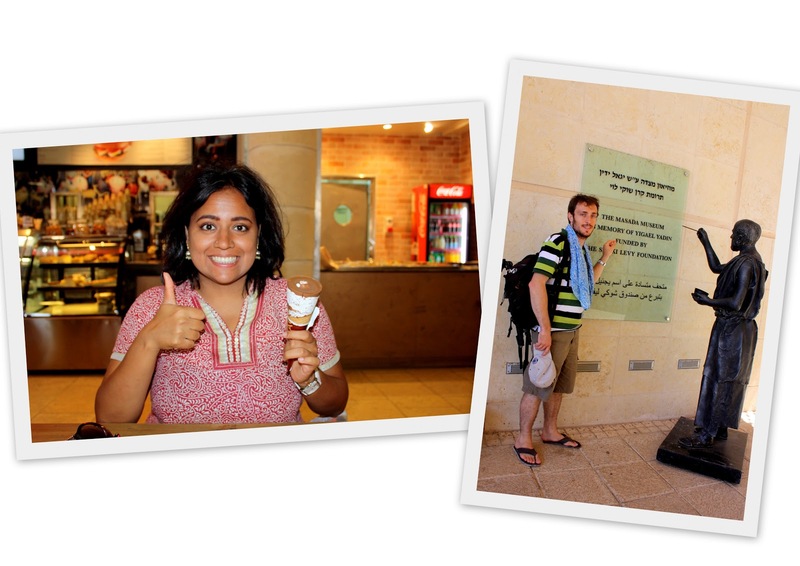 wow...the ice creams in Masada! can do anything to grab ice creams!....he he he!